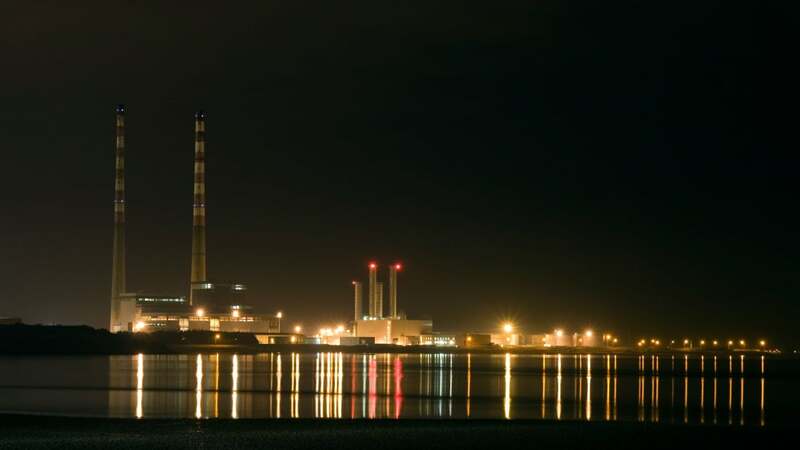 ELEVEN PEOPLE WERE taken to hospital after what is being described as an ‘uncontrolled release’ of lime within the Poolbeg incinerator plant in Dublin. Nine people have since been released, and two people remain in hospital. A spokesperson for Covanta, the company that runs the plant, said that late last night that “a small amount of lime was inadvertently released inside the flue gas treatment area” during the commissioning and testing of the plant. “At the time, there were a number of workers in an adjacent area,” it said. As a precaution, eleven workers were sent to St Vincent’s Hospital nearby for medical evaluation. Two were detained overnight. It’s understood that no ambulances were called, but the exact condition of the workers is not known. Boiler 1 of the plant, which was operating at the time, was shut down afterwards and the site remains closed today. The Health & Safety Authority were notified at 6am this morning and investigators are currently on-site. The incident is being described as a ‘dangerous occurrence’, which means a serious event that may have consequences to human health or the environment.